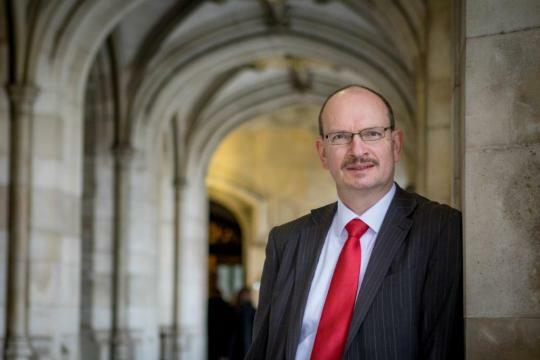 History will mention 2019 as the year the UK left the European Union, or just possibly as the year the UK did NOT leave the European Union, writes Ipswich MP, Sandy Martin. Article 50, which enables us to leave, was triggered in Spring 2017 and on March 30th 2019 the UK will no longer be a member, unless Parliament suspends or cancels Article 50 before that date. Neither would be easy, and without a proposed way forward – either an agreed deal and a fresh referendum to sanction it, or a General Election and the prospect of a new better deal – the EU wouldn’t accept a suspension. In any case, given the referendum vote in 2016 it would be undemocratic to cancel Brexit without another referendum. But although we don’t know what will happen with Brexit or what the effect will be for Suffolk, our County and in particular Ipswich has prospects which I think can give us hope for the future. Ipswich is gaining a name for itself as a place to set up business and to shop, and we had one of the very few town centres where the number of visitors actually increased this winter. Many people still receive pitifully low wages – I will continue to make the case for a much higher minimum wage so that people in work will not have to rely on benefits and hand-outs. And I will continue to speak to any prospective employers about what a good place Ipswich is to do business. When the new trains start coming into service in April, the journey to London – and to the rest of Suffolk – will become gradually more reliable and eventually faster. That will give businesses an added incentive. The Waterfront is coming on apace. The Winerack will be finished this year, the revamp of St Peter’s Wharf will start in January, and there are plans for the other disused buildings and sites around the docks and for the area in front of St Peter’s Church – we are moving towards a situation where, instead of a beautiful island in a sea of dereliction, our Waterfront will be a vibrant part of a thriving town centre. And when the tidal barrier is finished, the fear of flooding from the sea will be gone and other areas around the Orwell will be ready to develop too. New houses are being built by the Borough Council for young families who cannot afford to buy, as well as by private developers for sale. And the new homeless families unit will help keep more children out of unsuitable “Bed and Breakfast” accommodation. There’s a lot to do. I will be redoubling my efforts to get all the agencies in Ipswich to work together to make sure that there are hostel beds available 24 hours a day 365 days a year, so that nobody ever has to sleep on our streets again. We need a mental health service that works, and I want to see significant improvements in the Norfolk & Suffolk Trust by the end of January, otherwise I will agree with those who are calling for it to be taken under the control of a national body. I will badger HMRC and the relevant ministers until they can see that it makes no sense to ship tax jobs from Ipswich to Stratford – in fact, quite the reverse, why don’t they relocate their “regional hub” to Ipswich? I will continue to lobby the offshore wind industry to try to get them to locate some of their activities to our town. And I will see what I can do, working with the Borough Council, to find people who have a use for the old County Hall and for the Cliff Quay Brewery. I hope this year to get the Government to see the need for a North Ipswich road, but long before that can be built we can do our bit for the environment, for the economy of our town, for our own pockets and for our health, by resolving to walk or cycle or take the bus whenever it is convenient to do so. I will try to persuade the County to make fresh efforts to encourage recycling, but we can all cut down on the amount of waste we create and increase the amount we recycle. 2019 might be an uncertain year, but just worrying about it doesn’t help. Let’s resolve to do the things we can do, and wherever possible let’s do them together.